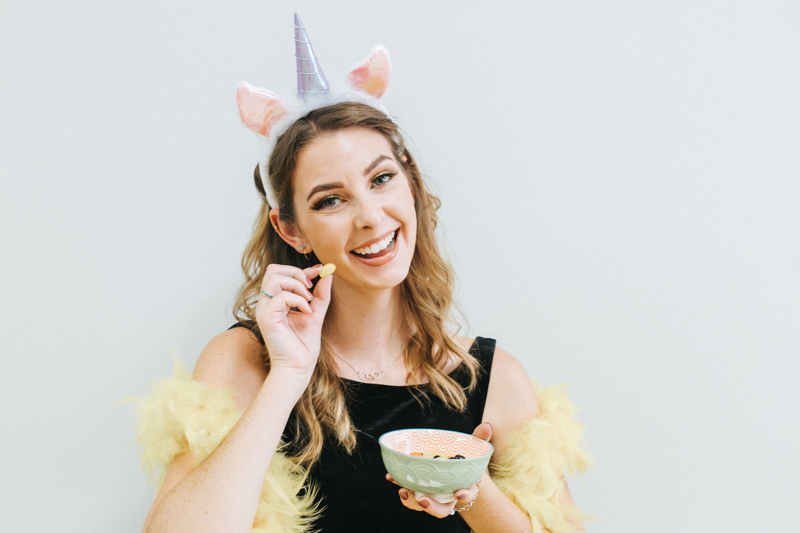 Halloween Party Tips & Looks — The Trendy Files - Fashion, beauty & lifestyle blog. Other than the Christmas season, Halloween is my second favourite time of the year. Seriously though, who doesn’t love a good movie marathon of the Halloweentown movies and a number of mini chocolate bars I’d rather not say. And when I’m not having a night in, I love getting together with friends and going out! My party planning (ghoul) friend Alli and I had some fun last week with a little party of our own. Decor and atmosphere supplied by Alli and the looks styled by me! But I totally get that not every year you have enough time to put together a whole look. 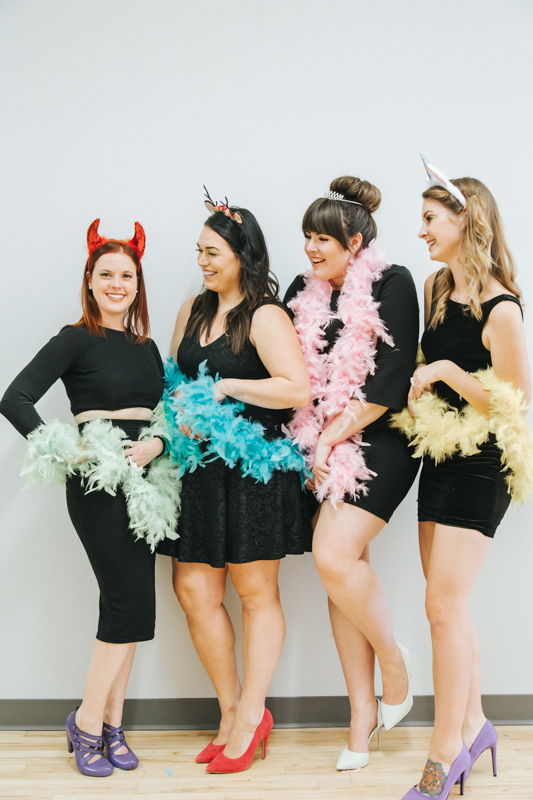 A super easy and chic alternative (especially for a group costume) is a LBD, a halloween headband (super cheap and you can find everywhere), a bright pair of pumps, and a bright coloured feather boa! Pro tip for the boas: give them a good shake before you put them out. They’ll still shed, but it will definitely help with the feather fall out. 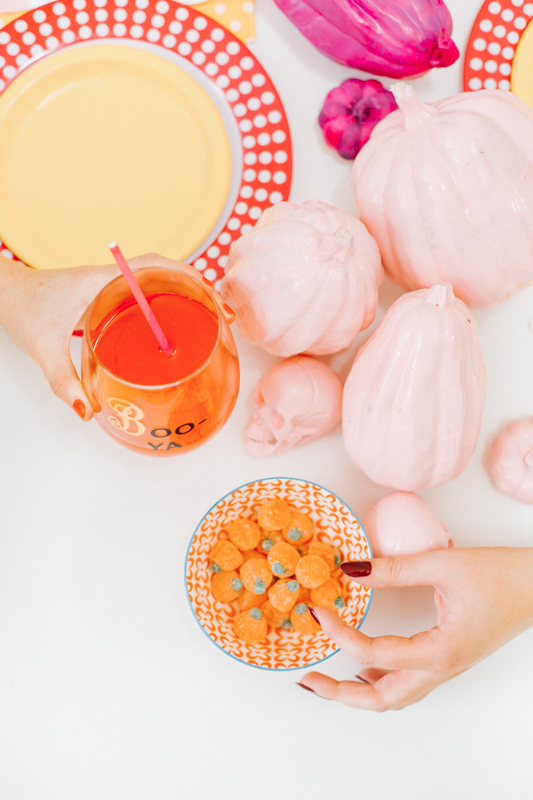 You can never have enough sweet treats at any party, but make them extra festive for Halloween! I like to indulge in classic candies like gummy pumpkins and candy corn in fun self-serve dishes. Spiked vodka punch is always a crowd pleaser. To make your beverage of choice stand out, customize your glassware with themed phrases to give your guests a little giggle! Here, we simply applied stickers to goblets from the dollar store for a cost effective way to enhance your tablescape! Whether you are going out or staying in, it’s always a blast to have an activity really get your guests in the spirit! Pumpkin decorating is fun and easy. Here, we painted our mini pumpkins, gourds and skulls fun and bright colours but you could use stickers, googly eyes or just about anything else! Don’t forget to watch your favorite Halloween movie together while you decorate. Ours was Hocus Pocus – what’s yours? Have a safe, happy, and fun Halloween! P.s. 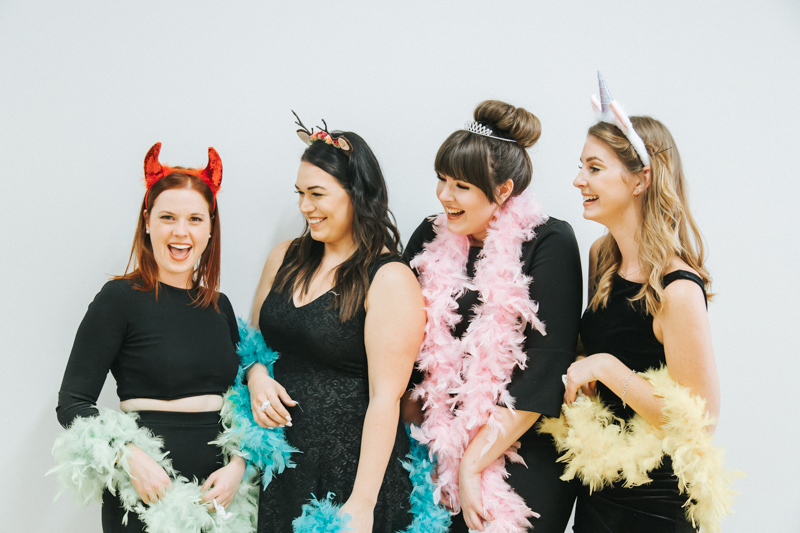 Have any more questions or need help planning your next party? Give Alli a shout at alli@allimae.com.